I guess it started in the summer of 2011. 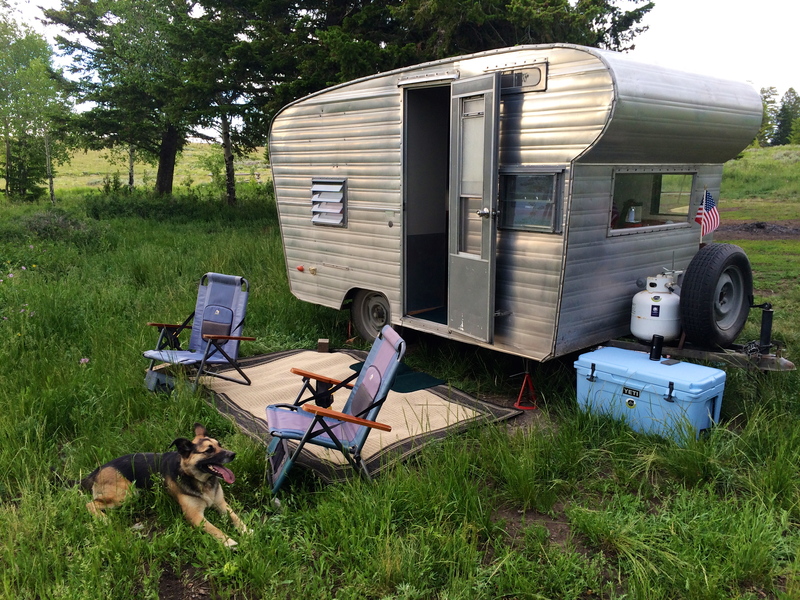 Our beloved Betty was new to the family, and the stars aligned to allow us to spend a total of 8 weeks over two trips on the road. 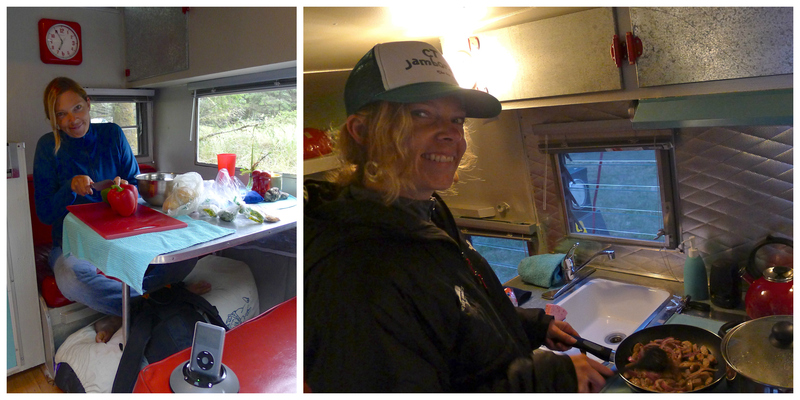 When you spend that much time camping in a 13-foot tin can, you get creative with your cooking. 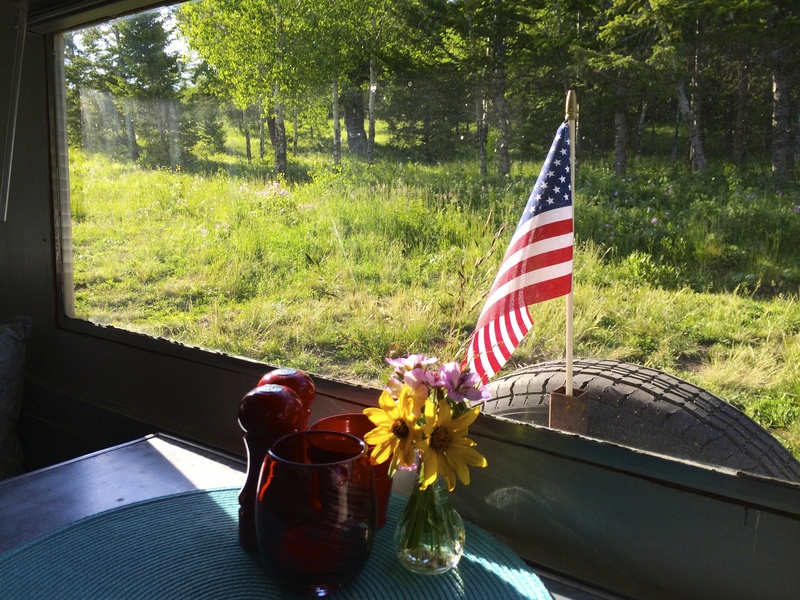 It took us awhile to get into our groove, but we ate so well that summer, making all of our meals on a trailer stove from 1966 and a campfire. Now, the prep for any camping trip includes brainstorming delicious meals to make. 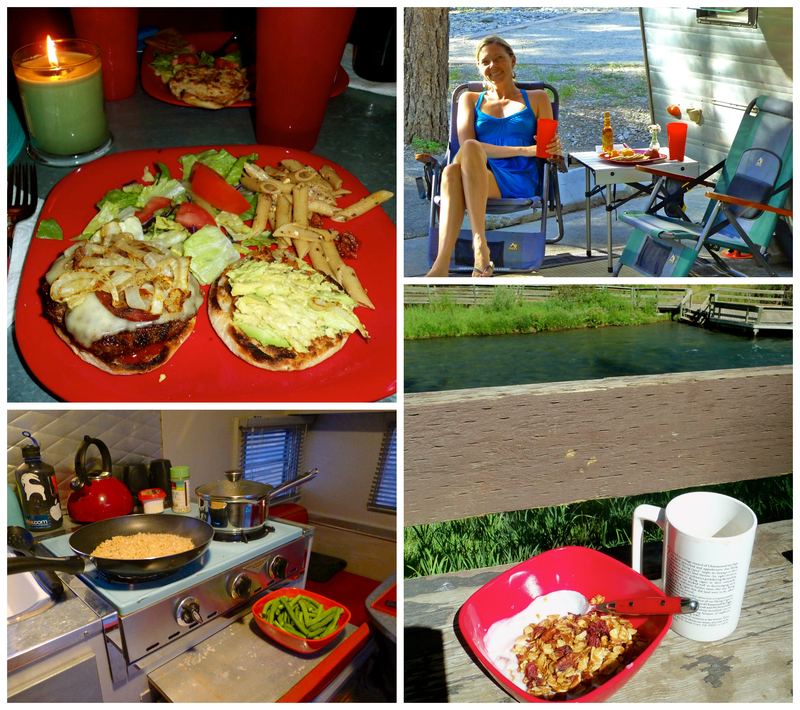 We joke that we often eat better when we’re camping than we do at home. The trick is to bring a little bit of home out on the road with us. I’ll usually make a batch of granola or some homemade cookies to take along with us. I might tuck a recipe or two into my bag to experiment with. We sip French-pressed coffee. We bring or pick up fresh produce to cook with. We pull over to make lunch when we spot a pretty view. 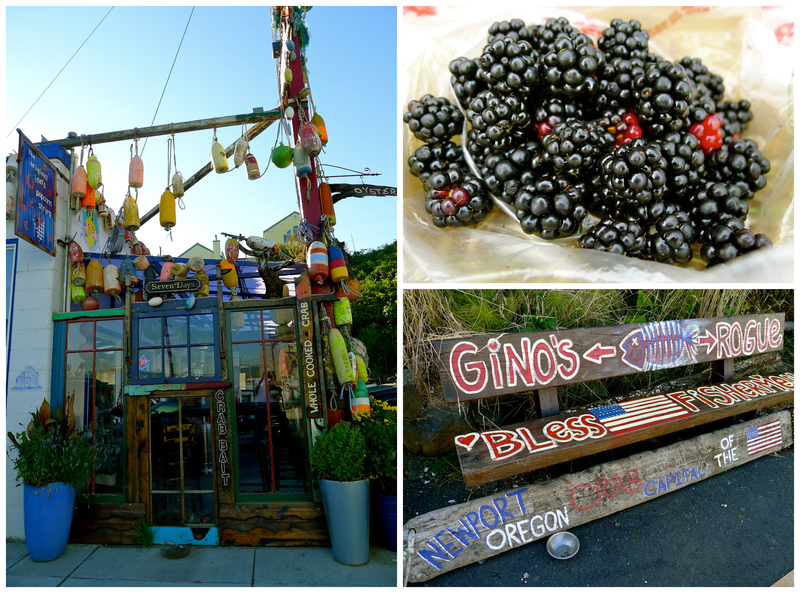 We try to explore what the area we’re in has to offer, like the time we picked fresh blackberries on the banks of the Rogue River or discovered the smoked salmon at Gino’s fish market in Newport. 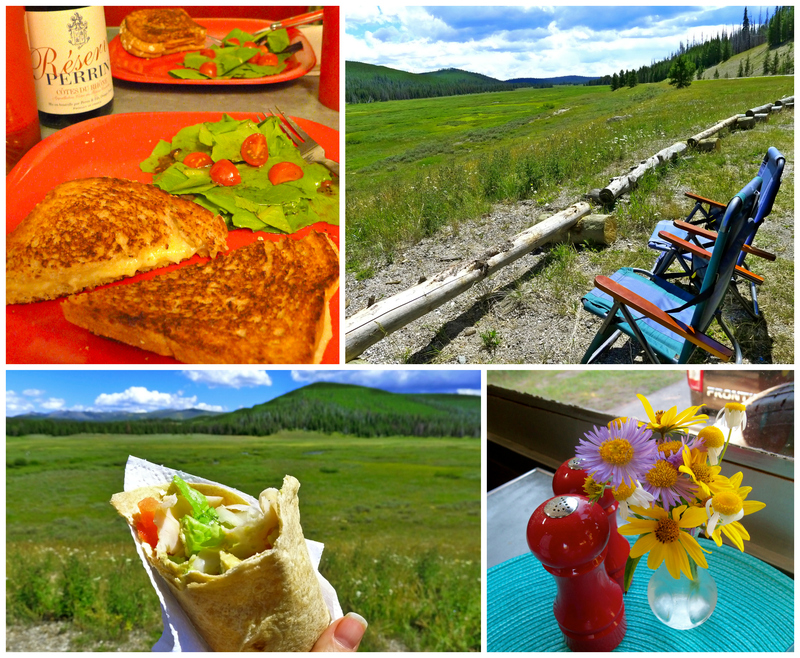 We enjoy happy hour with cheese and crackers, just like we do ate home, only in camp chairs and with ever-changing scenery. We sip yummy wines and light a candle. The food we make is certainly not fancy, but it’s good. Having a little trailer makes it easier. 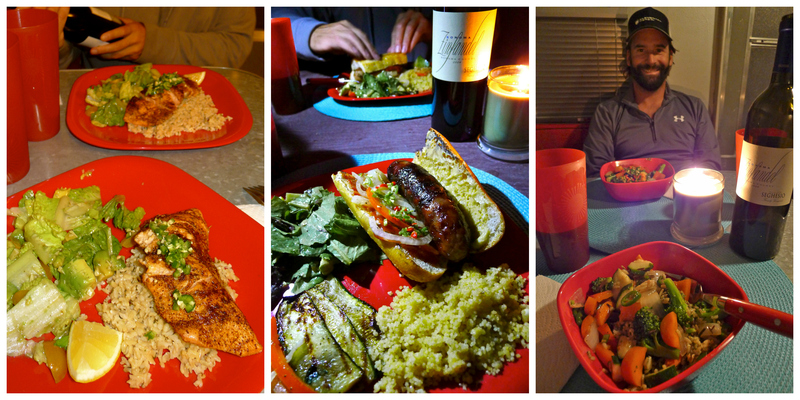 Like at home, we enjoy cooking together, and it’s even better under the stars. On our most recent Betty trip to Jackson, we toted along the usual suspects: homemade granola, yummy cheeses, etc., plus a batch of strawberry cupcakes (it was a birthday party, after all). 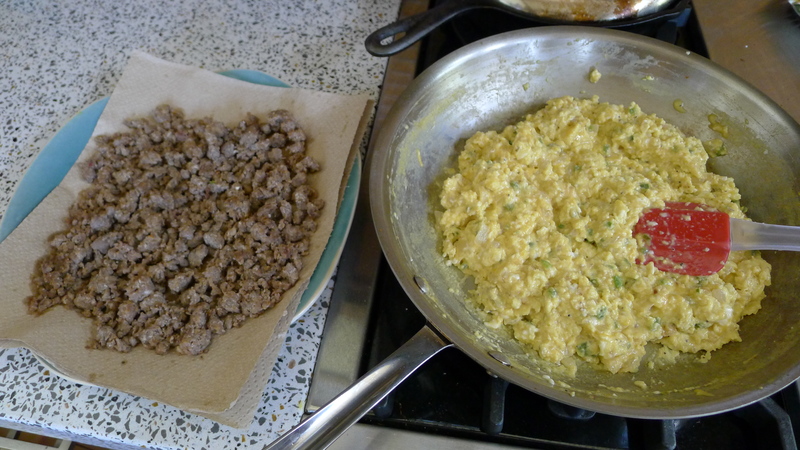 Before we left, I decided to pre-make some breakfast burritos to bring. I was happily surprised at how easy they were to make, and how yummy they turned out to be at our camp in Curtis Canyon. 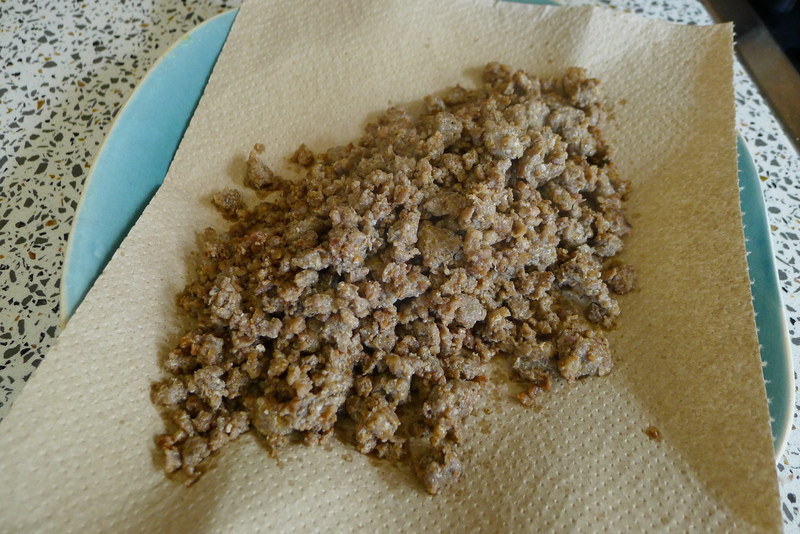 I started by browning a big batch of spicy breakfast sausage and letting it drain on a paper towel. 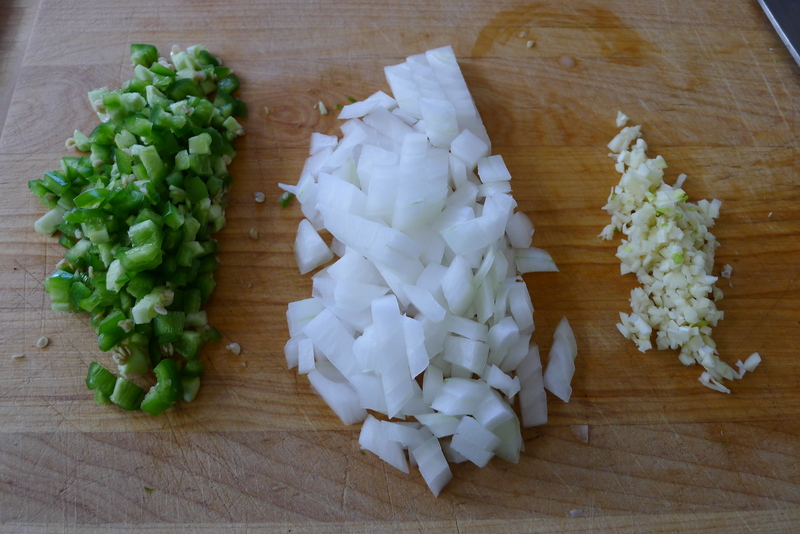 While the sausage did its thing, I chopped up some veggies: onion, garlic, jalapeno. 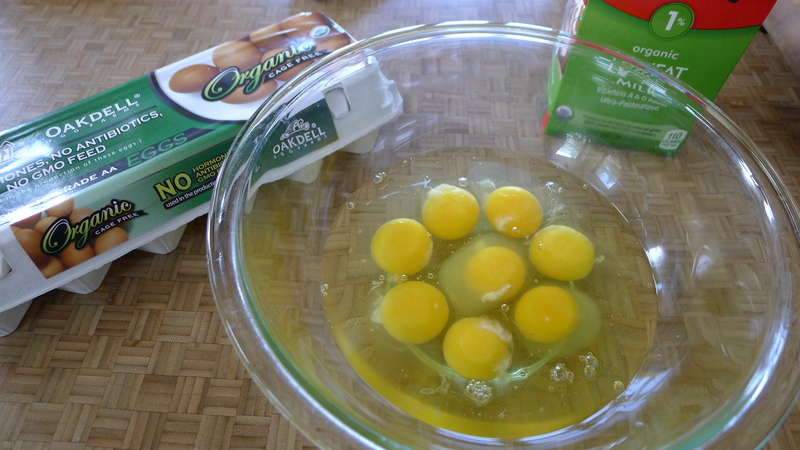 I whisked 8 eggs in a bowl with a splash of milk and some seasonings. I sautéed the veggies for a bit before adding the eggs. 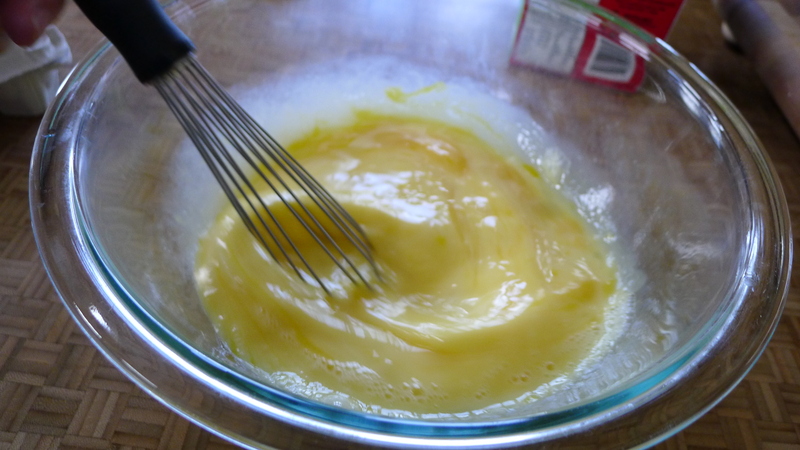 I stirred a handful of cheese into the eggs and gathered my assembly ingredients. 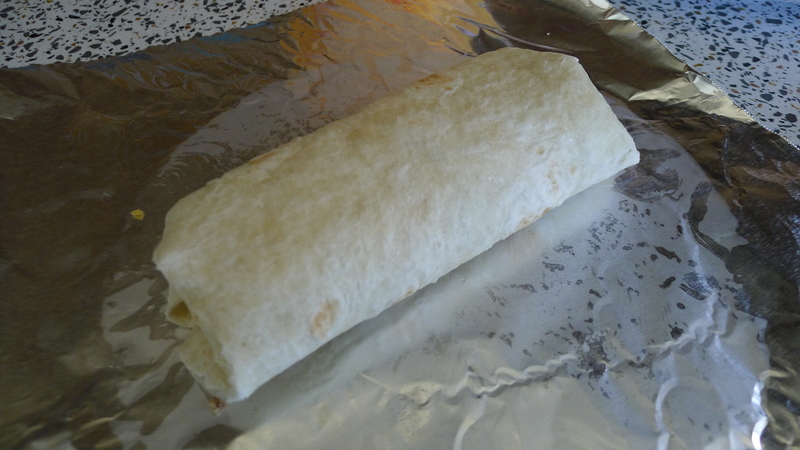 On a warmed tortilla, I piled some cheesy eggs, then a generous pile of sausage, and more cheese, I wrapped my little burrito baby up tightly, then wrapped it in foil. 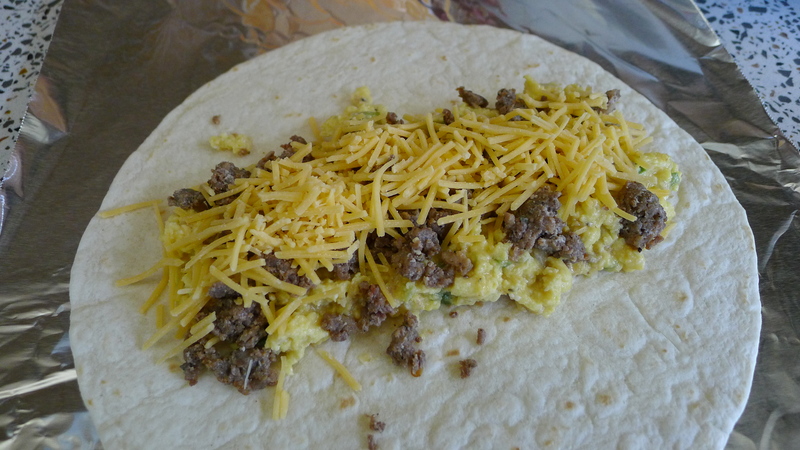 My eight eggs and sausage made five burritos, which I popped into the freezer. We took the burritos from the freezer and packed them in the cooler we use for food. By the time we were ready to eat them, they’d thawed. That morning, I left them in the foil and turned them in a hot pan on the stove for a while. Then I took off the foil and cooked them a bit longer, so that the tortilla got a little browned and the cheese inside was sure to be melted. I think it would be easy to throw the burrito packets right onto a grill, too. The verdict? Delish! And the best part is that most of the work had been done ahead of time, leaving more of the morning to enjoy this view. Because THAT is what camping is all about. 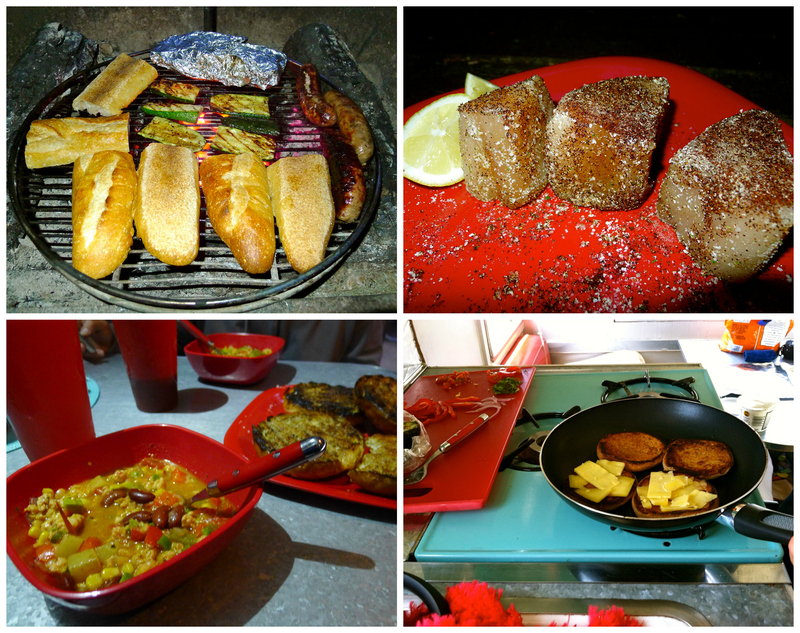 What’s your go-to camping meal? Share with me! 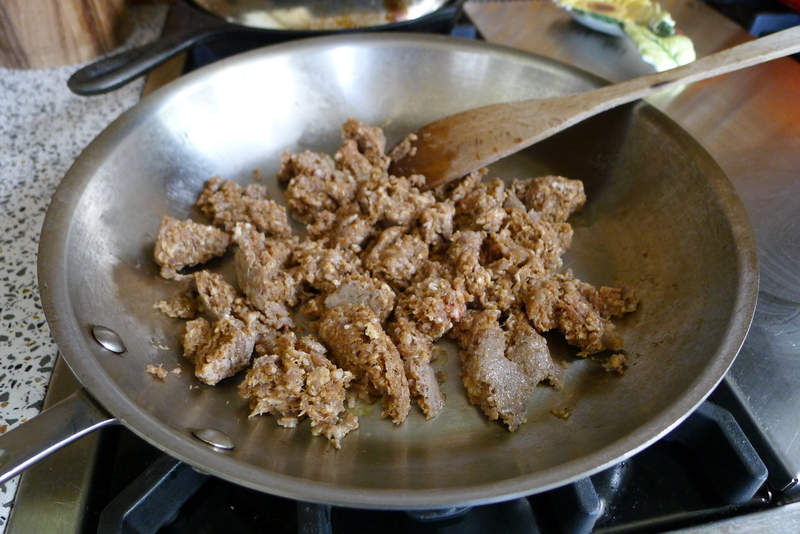 At home, brown the sausage and remove from the pan, draining on a plate lined with paper towels. 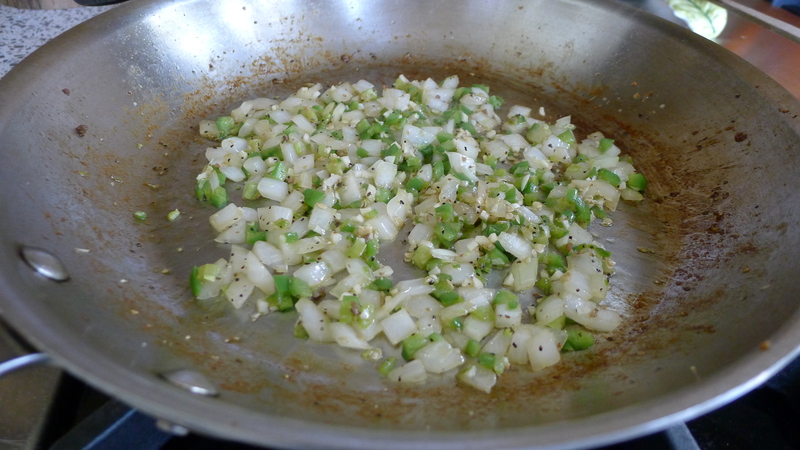 Give the pan a swirl of olive oil and add the onion and jalapeno. 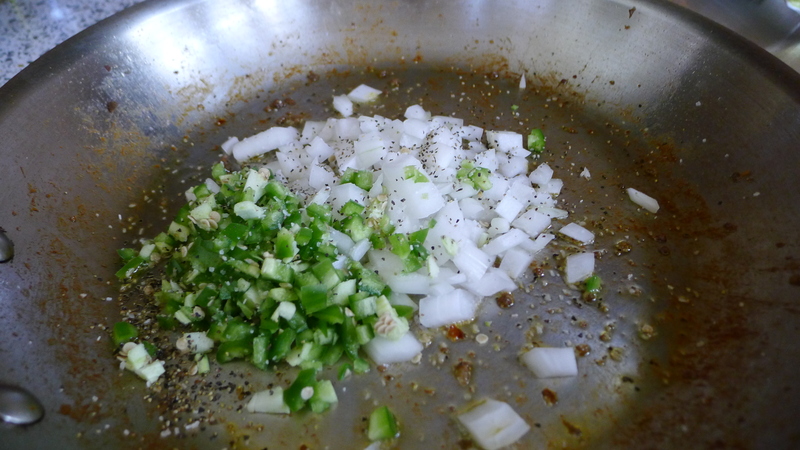 After a minute or two, add the garlic and seasonings to taste. 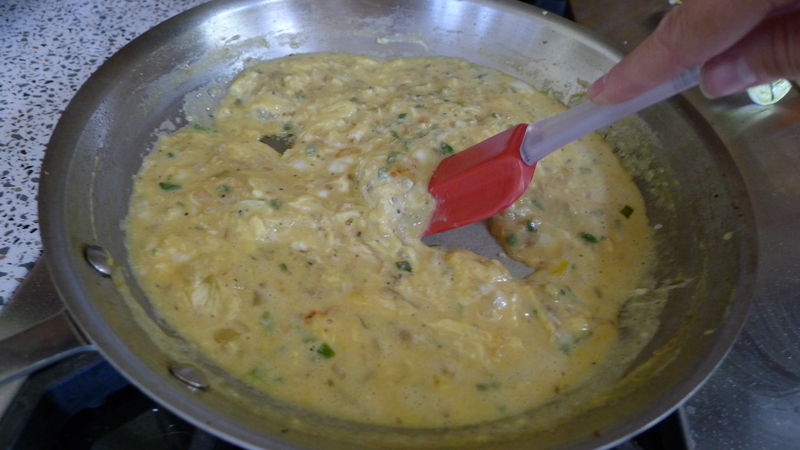 In the meantime, whisk the eggs with the milk and add salt, pepper, and crushed red pepper. 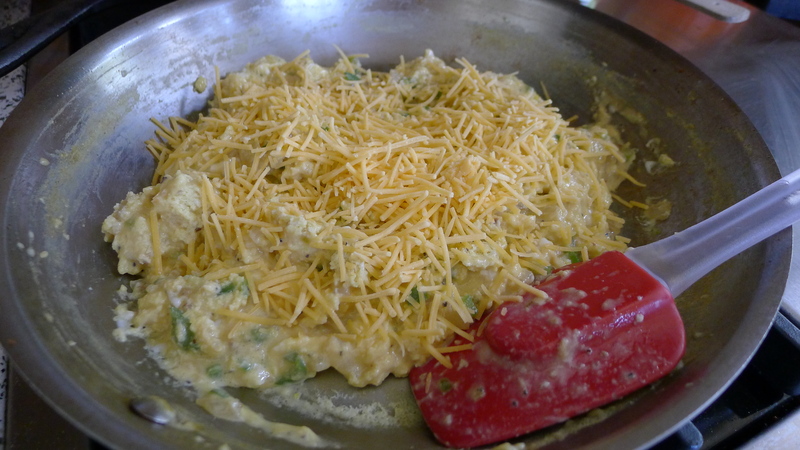 Add the egg mixture to the pan with the veggies and scramble until almost cooked. 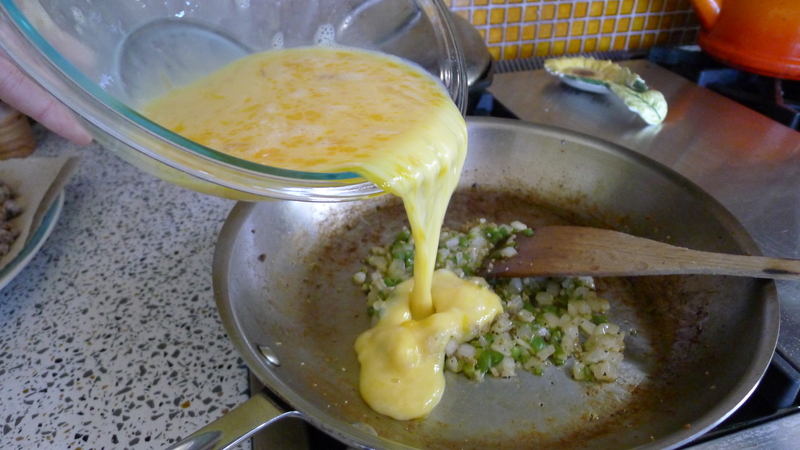 Add a generous handful of shredded cheese and stir to combine. Remove from heat. 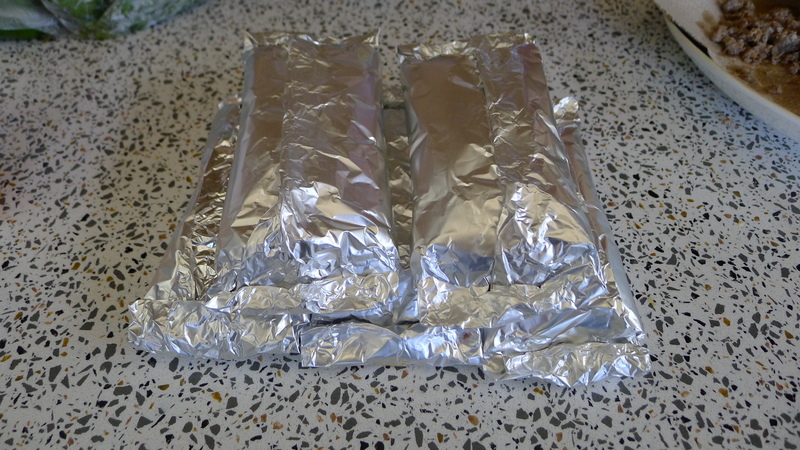 To assemble the burritos, warm them in a microwave for 10 seconds or so. Scoop some of the egg mixture onto the tortilla. Add some of the sausage and more cheese. 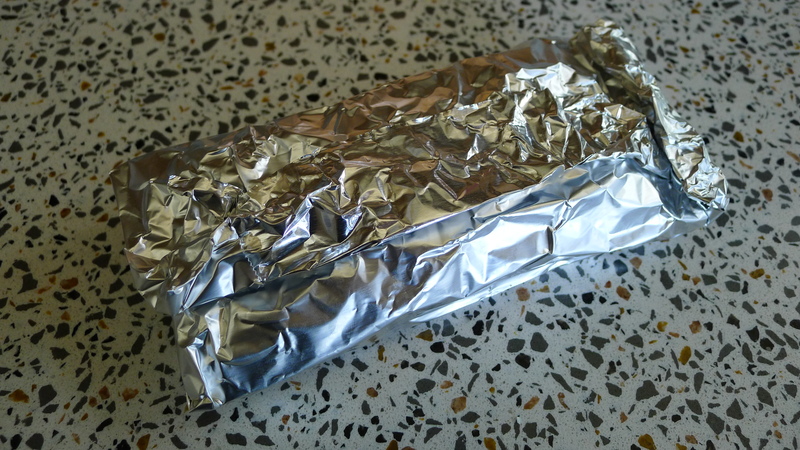 Wrap the burrito tightly and then wrap it in aluminum foil. Continue for all five tortillas. Pop the burritos into the freezer. 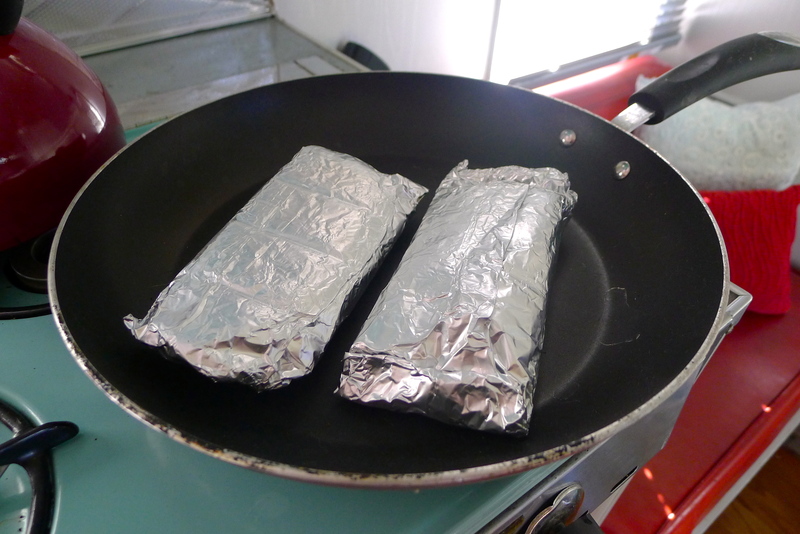 At camp, allow the burritos to thaw and warm in a pan on the stove or on the grill while still in the foil, turning every couple of minutes. 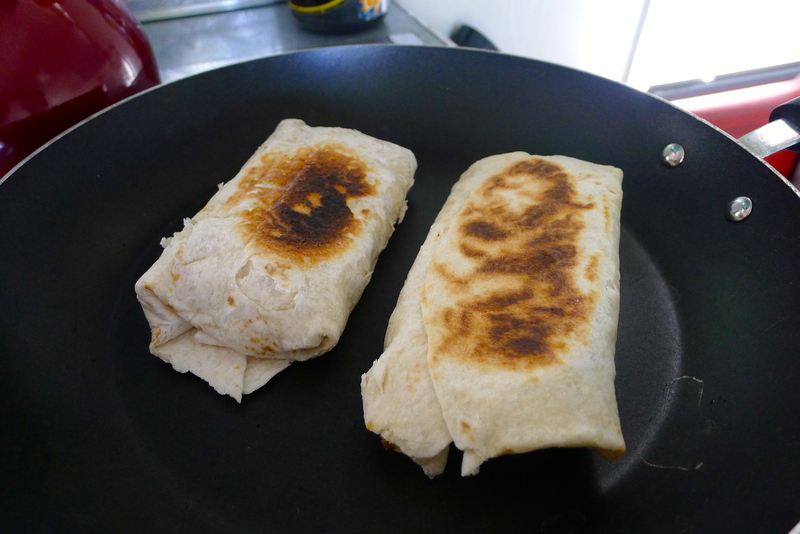 After a while, remove the foil and return the burrito to the pan to brown the tortilla a little bit. 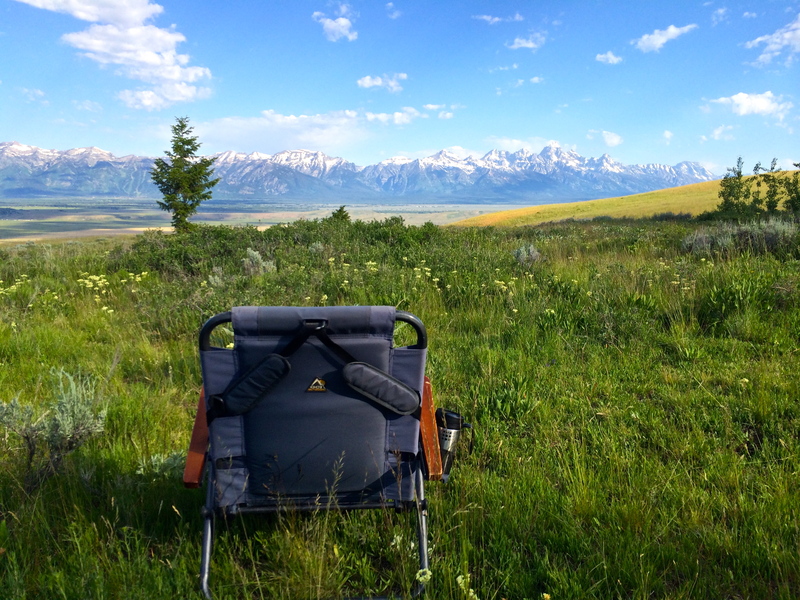 Eat with your choice of salsa, preferably with a view of the Tetons. YUM. You can see more of my travels HERE. Next postA Bear Valley Birthday Bash. Looks like something mild…I could eat! You could fill the burritos with whatever you like to make them suit you! Our little shack in Mozambique has limited cooking facilities and I am always challenged to find something to cook beyond peri-peri chicken and crayfish on the fire – although that is pretty good! But eventually you do need a change! I am going to take your recipes with next time and do more of this burritos sort of thing. I have a book in my collection called Bobby Flay’s Bold American Food. I find my self thinking about this book whenever I read one of you food posts. 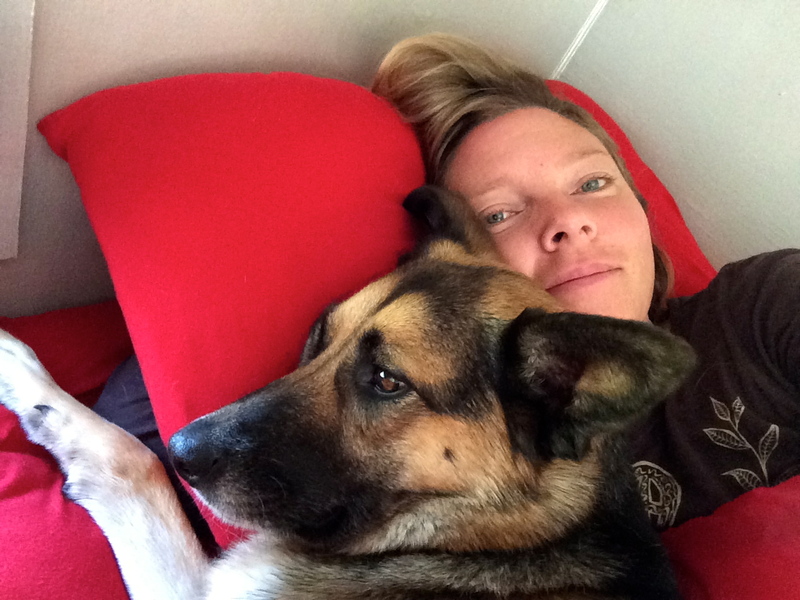 The last photo in this post is fab!